While casting my vote this morning in the European and Local Elections in the Ireland North West Constituency, I was scratching my head at the candidate who decided it was NOT important enough to add his visage to the ballot paper. 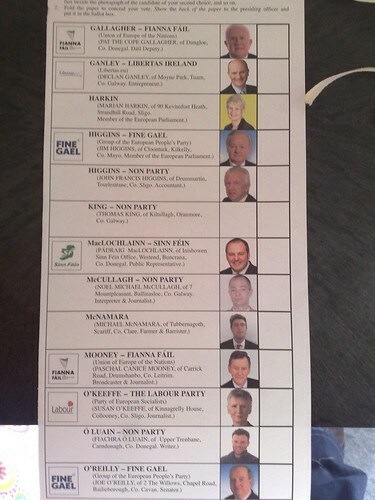 King – Non Party – Ballot paper FAIL. Are other candidates in other constituencies showing their shy side?